Azura is Now Offering BOTOX® or Dysport® Parties in Cary, NC! 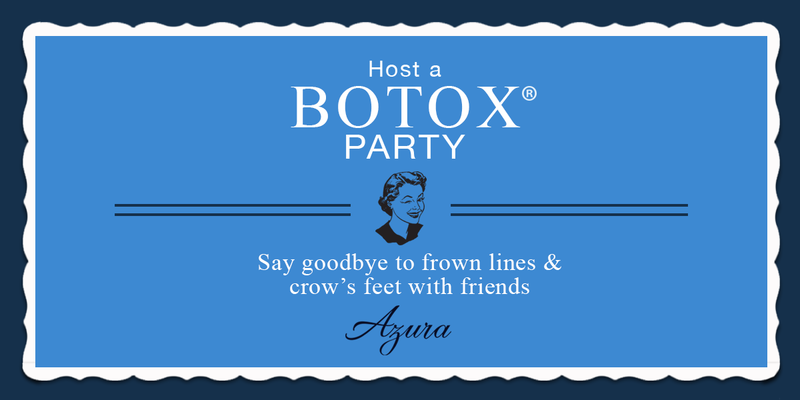 Host a BOTOX® Party at Azura Skin Care Center in Cary, NC! Give your next night out a fresh look! 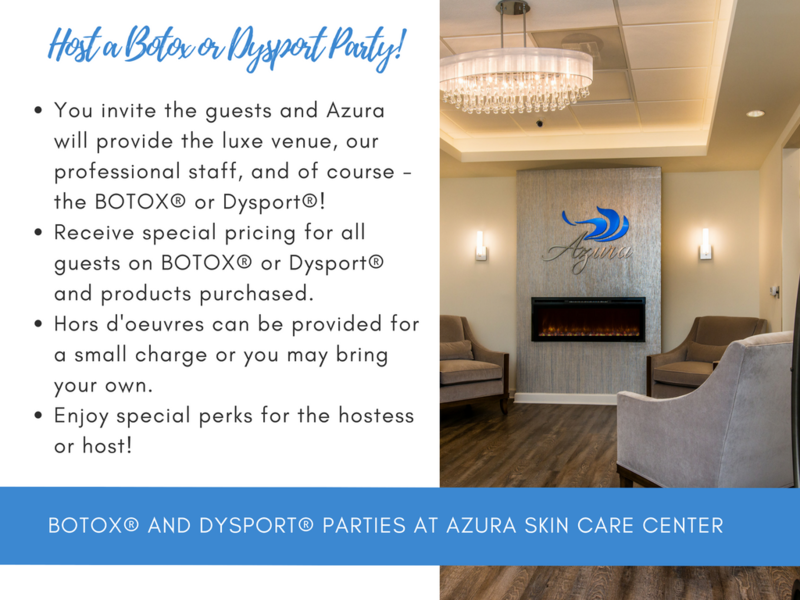 Whether it’s Ladies Night or time for some “Bro-tox” with the guys, invite your guests to join you and Azura Skin Care Center’s professional med spa staff for a BOTOX® or Dysport® party! These parties provide you and your guests an exclusive, private session with our trained professionals. BOTOX® Cosmetic is an injectable treatment used to temporarily improve the look of crow’s feet lines and frown lines between the eyebrows. BOTOX® may also help soften unwanted lines. Dysport® temporarily improves the look of fine lines by treating the facial muscles in just the area you want and allows the muscles in the untreated areas of your face to move normally. What better way to look 10 years younger than with your best friends in tow?! Invite as many guests as you’d like to attend (a minimum of five attendees is required for private after-hours event), and we’ll gladly provide the luxe accommodations, professionally-trained staff, hors d’oeuvres (for a small additional charge or you may bring your own), and of course, the BOTOX® or Dysport®! All attendees will receive special pricing on BOTOX® (20 unit minimum purchase required) as well as special savings on any of our professional-grade products available for purchase at Azura. For our hostess with the mostess or host with the most, receive special perks for yourself. We welcome you to provide refreshments for your guests. However, we kindly ask that you leave the champagne and chardonnay at home during this event. Ready to reserve a date and time for your next BOTOX® Party? Please call us at 919-307-8033 or email Hello@AzuraSkin.com to inquire about availability and talk to our office about added on other services like microdermabrasion, dermaplaning, and dermal fillers. You may also contact us via the form below and we’ll respond promptly.